FTC Disclosure: Book received at no charge from publisher to facilitate review. So much of World War II centers around the Holocaust and the atrocities carried out by the Nazis. Over 7 million people lost their lives simply for being Jewish, Gypsy, homosexual, or disabled. Those lives should never be forgotten. 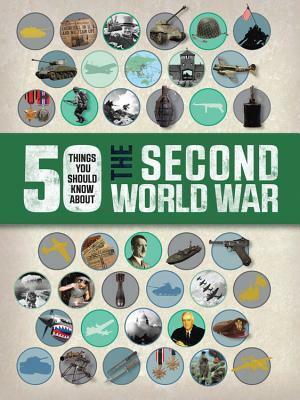 But the second World War was truly a large scale war that encompassed so much more than the front in Europe. With over 20 million lives lost in China alone from the war with Japan, young readers learn of the staggering suffering world wide. Through real life photos, illustrations, maps and snippets of fact laid out in boxes, World War II comes alive for a new generation. The author and designers make extra effort in sensitivity of their intended audience by excluding the most graphic war photos while still illustrating the horror of second World War. They give nod to the organizations formed to try to prevent such heinous activity from happening. While the book concentrates on the causes and effects of the war on Europe, it also covers the war in the Pacific and touches on the war in Africa. A great book to introduce the middle grade reader to the second World War.